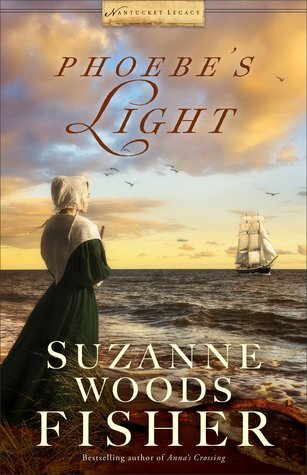 As always, Suzanne Woods Fisher has written an exceptional novel that pulls you right in and doesn’t let go until the last page. . . where you find yourself wishing there was more. I personally never want Suzanne’s books to end. Even though she often deals with difficult subjects and a rough journey for the reader, who feels as if they are the character for a time, each story is a journey well-worth taking! The story is filled with twists grounded in generations of family history. Fisher weaves together a pleasing romance that sets a high standard for future series installments. An original, engaging, and impressively entertaining novel from beginning to end. Fisher’s focus on a new faith group, the Quakers of colonial-era Nantucket Island, offers a fresh take on early America that history buffs will relish. If you want a book that will sweep you up and take you away, this is the one. Word of warning – you will not be able to put it down so be prepared to stay up late to finish it!